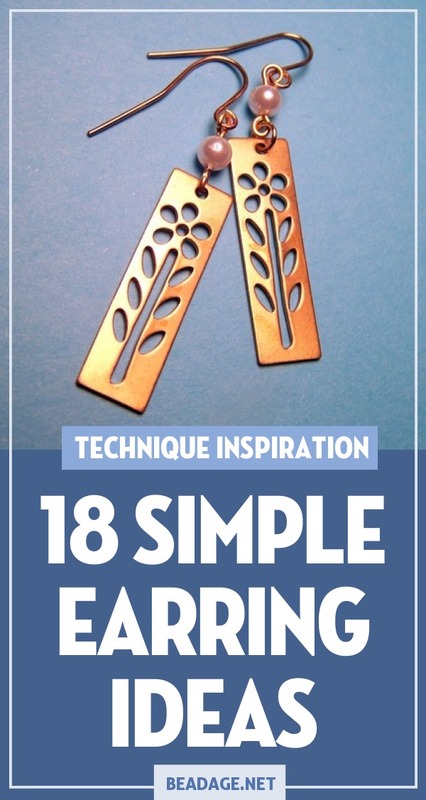 Earrings are one of the easiest DIY jewelry projects to make. 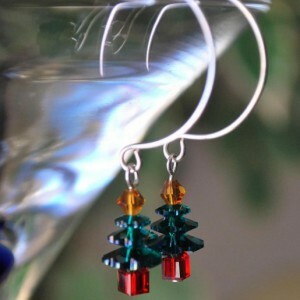 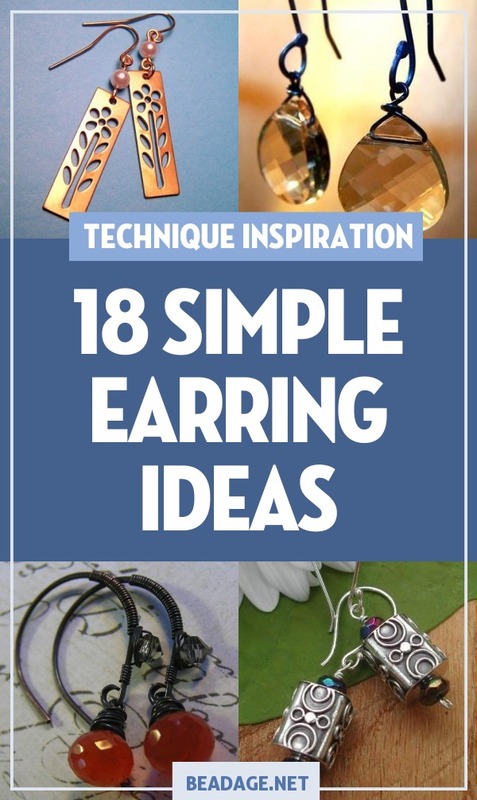 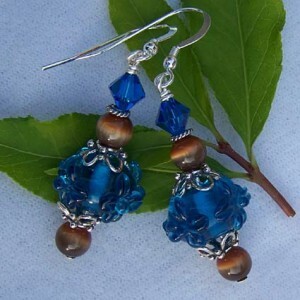 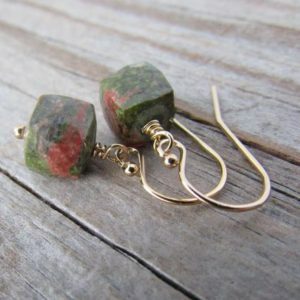 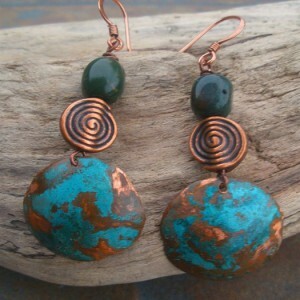 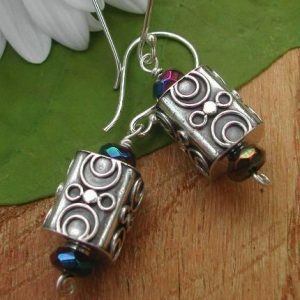 Here are some ideas for simple earrings that only take a few beads, some findings, and a pair of jewelry pliers. 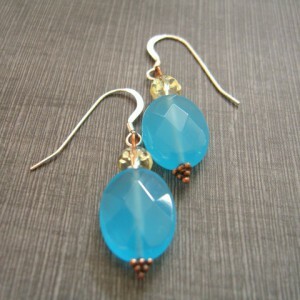 These 10x14mm oval blue quartz beads are faceted to give them some sparkle. 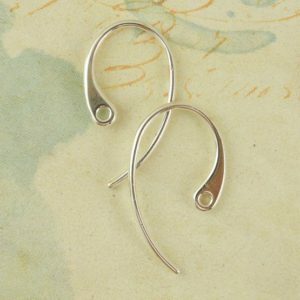 Hung from the sterling silver French earwires with a copper headpin and a faceted glass bead gives it a little extra detail. 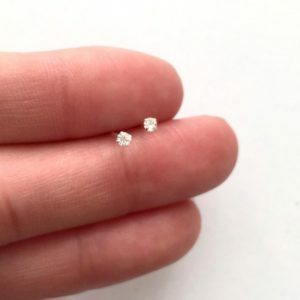 They measure almost 1 3/4″ from top to bottom. 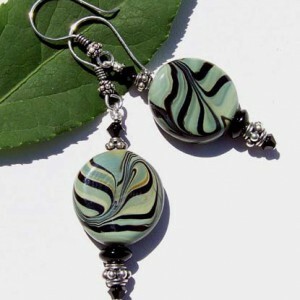 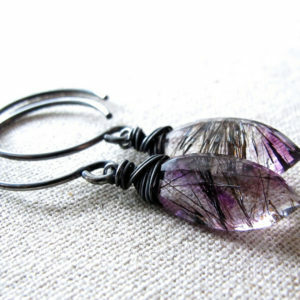 These earrings were designed with unique lampwork beads in shades of deep green, black, and brown. 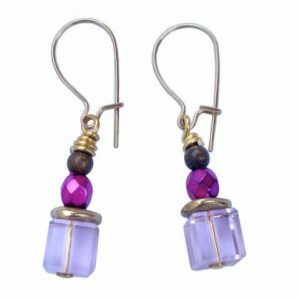 The focal beads are combined with jet Swarovski Austrian crystals, jet glass rounds, and sterling silver beads. 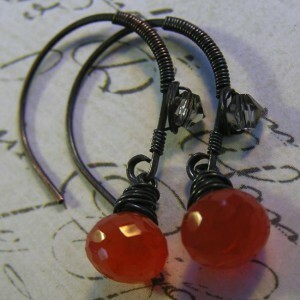 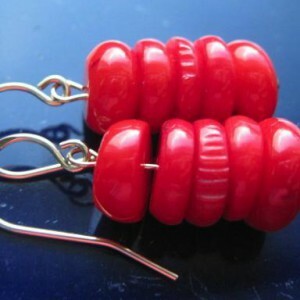 These super-simple earrings consist of five red coral disc beads on a headpin, attached to earring hooks. 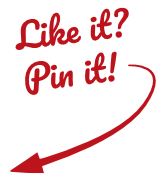 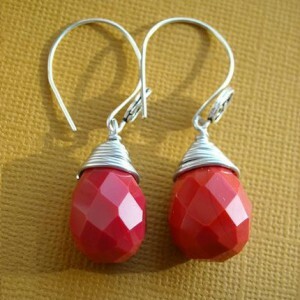 They measure 1 1/4 ” in length and are very light weight. 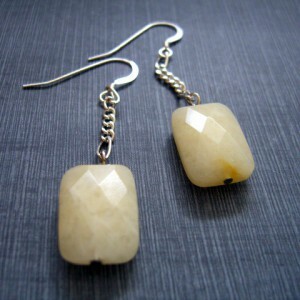 Hanging on sterling silver ear hooks are large, faceted, pale yellow, honey jade rectangular stones measuring 11x17mm. 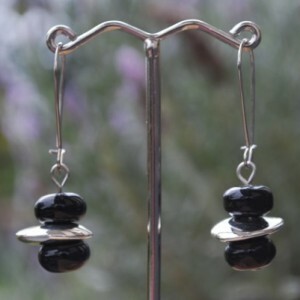 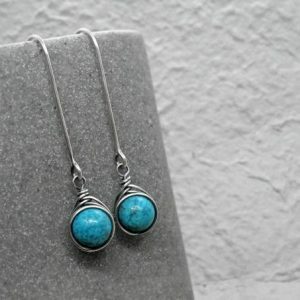 The stones are strung on headpins which are attached to silver colored chain. 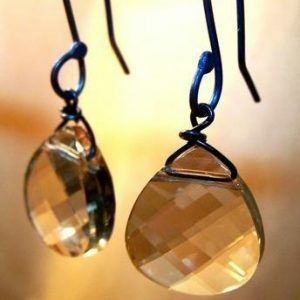 The whole earring dangles about 2 1/2″ from top to bottom. 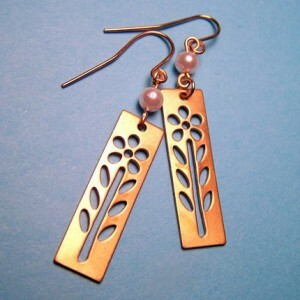 They are simple but still elegant! 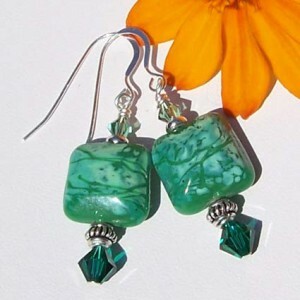 These are just the coolest…serene and sensational in a velvety bluish green. 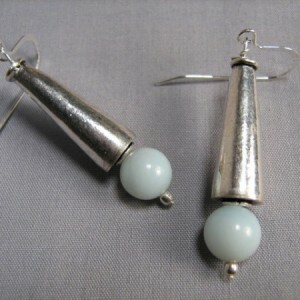 The rounds of 10mm amazonite are capped with Bali sterling silver cones. 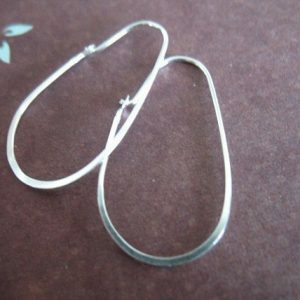 Total length is 2″.